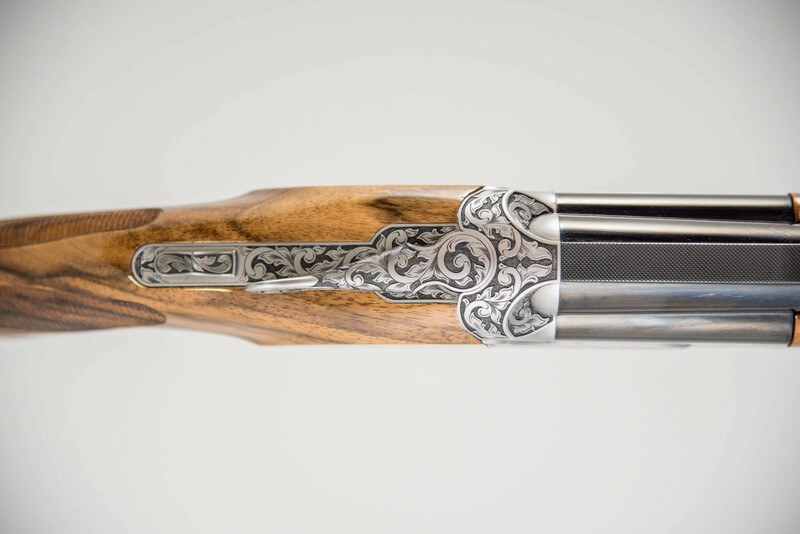 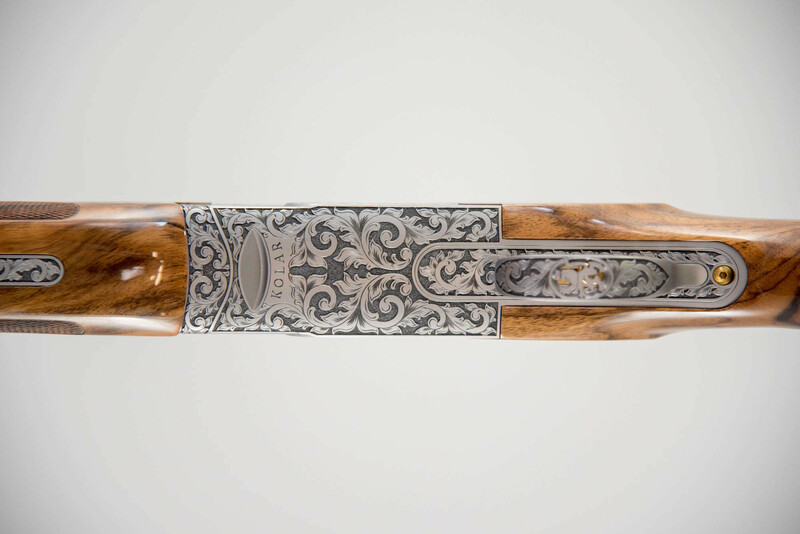 The Select features deeply sculpted leaf scroll with 100% coverage. 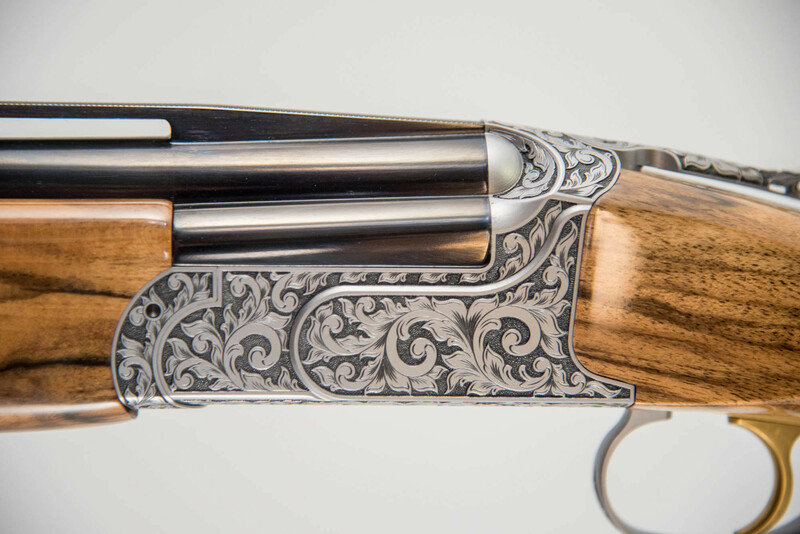 The hand cut leaf is finished with a complete background stippling to highlight the unique pattern. 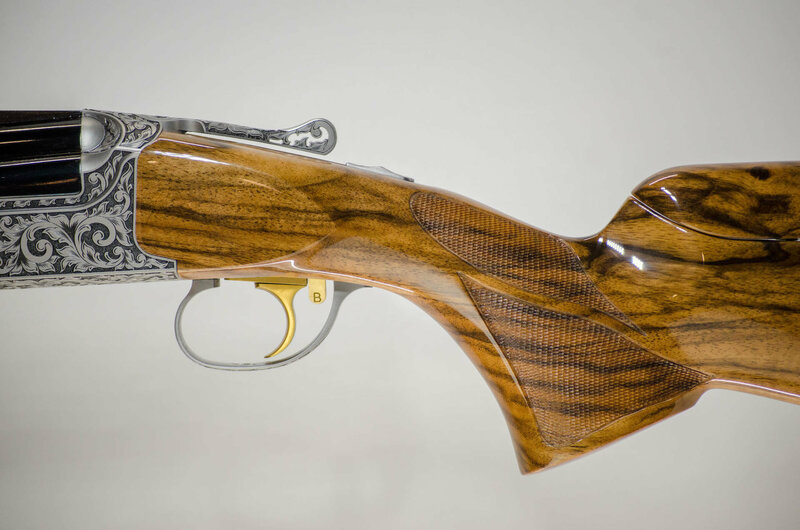 A complete gold trigger is standard. 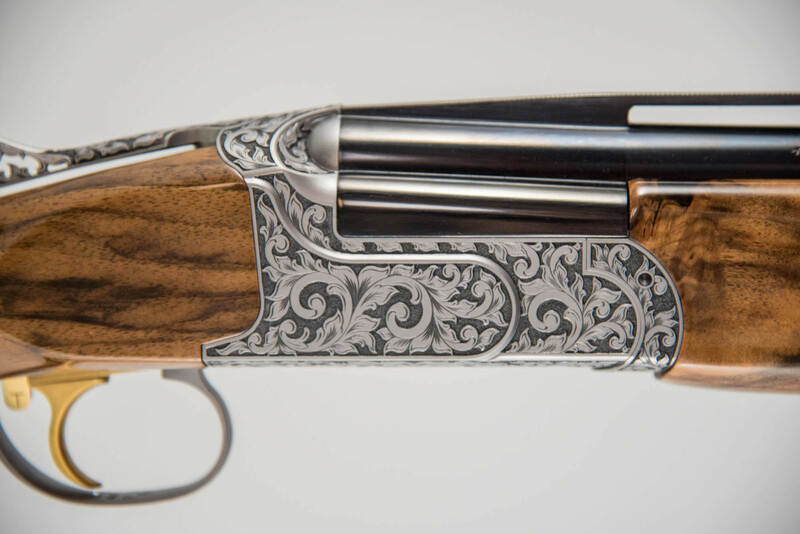 Receiver finish is nickel with clear Cerakote. 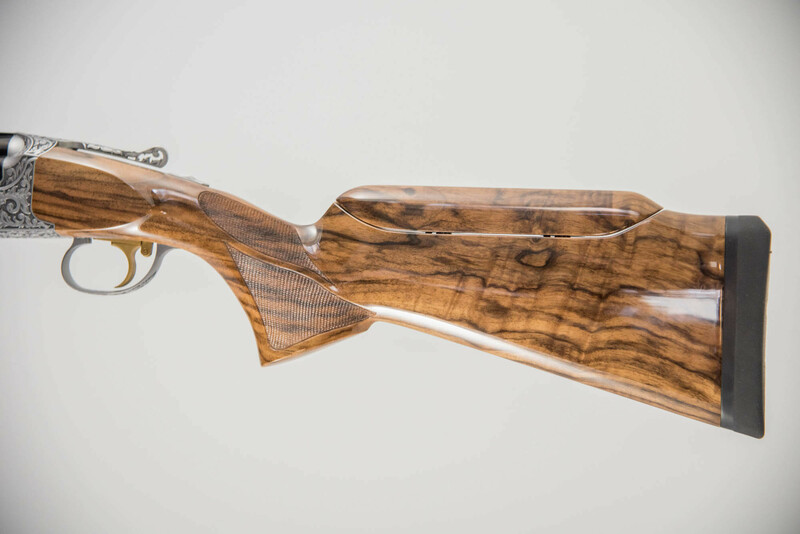 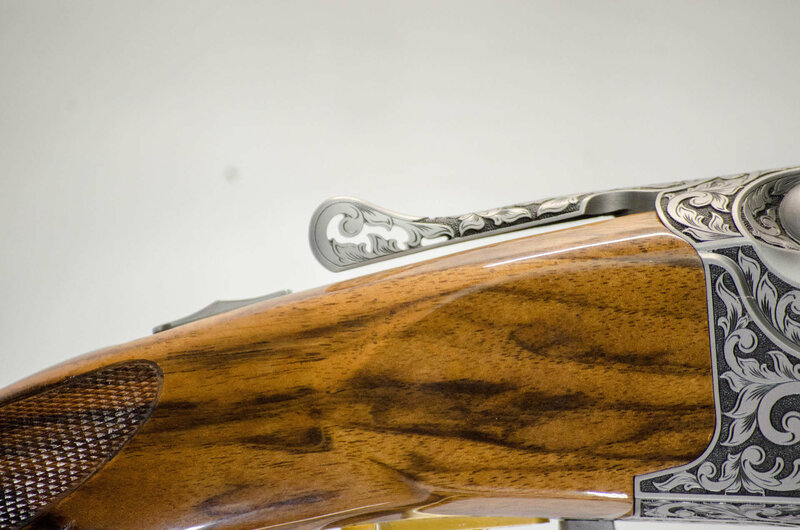 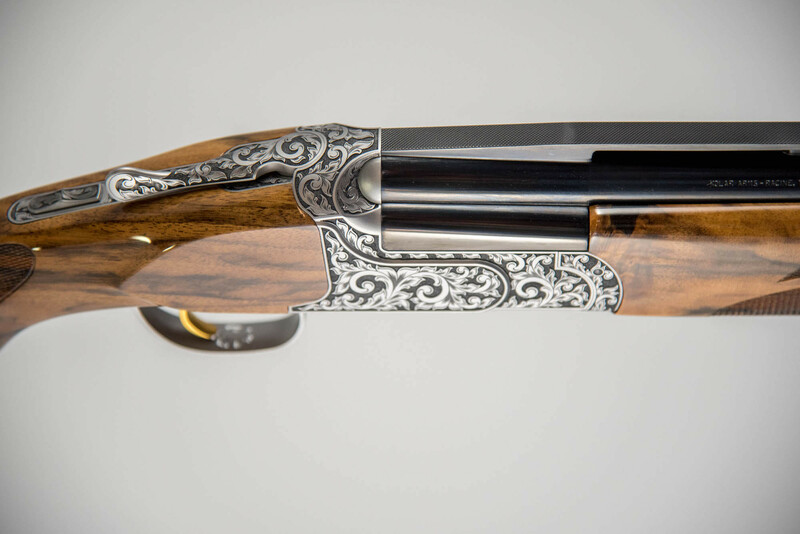 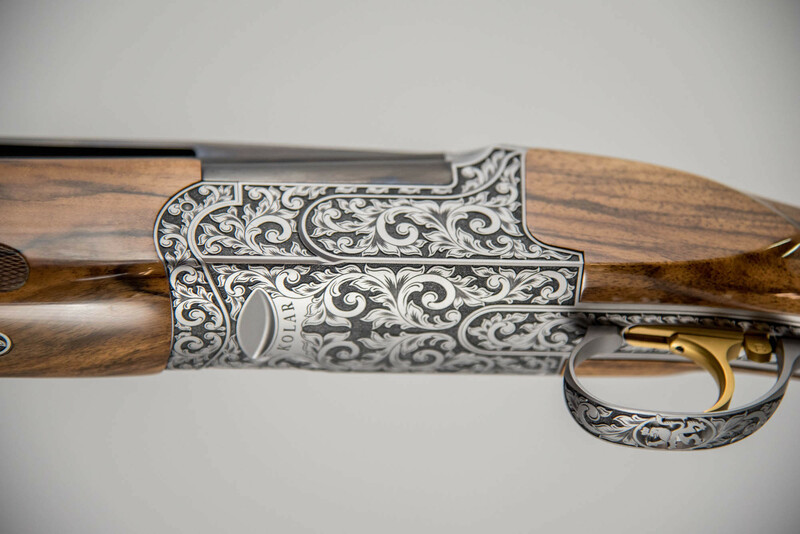 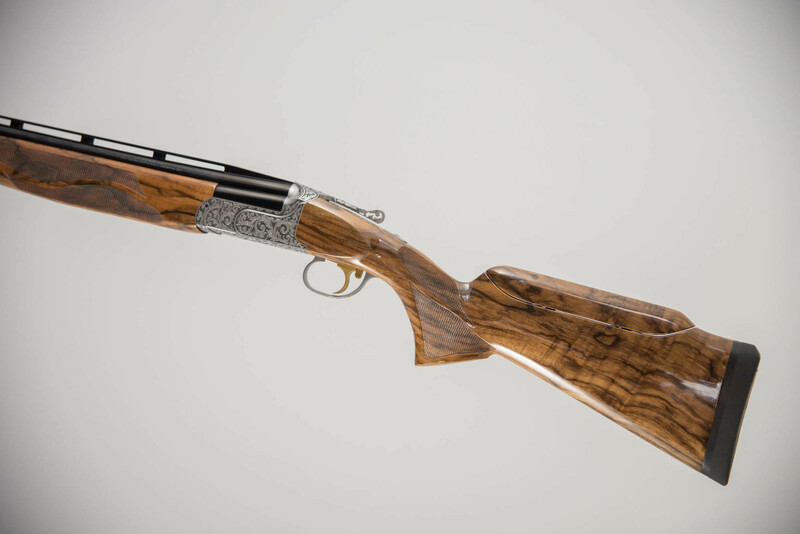 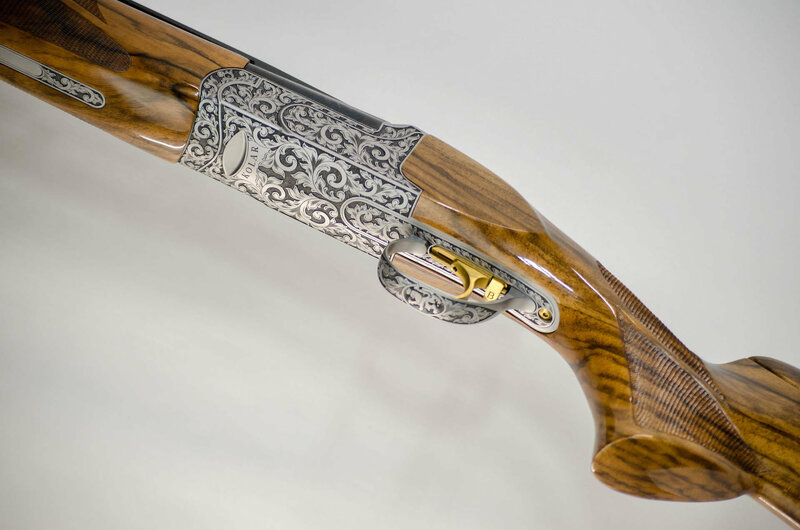 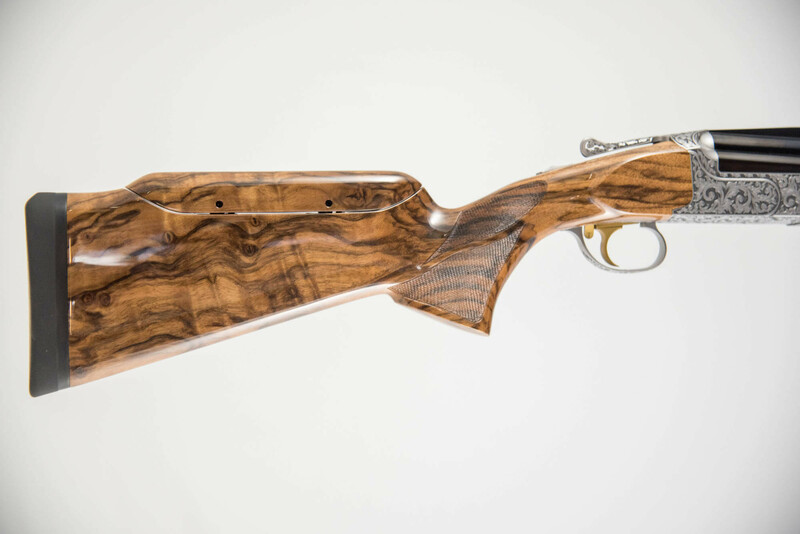 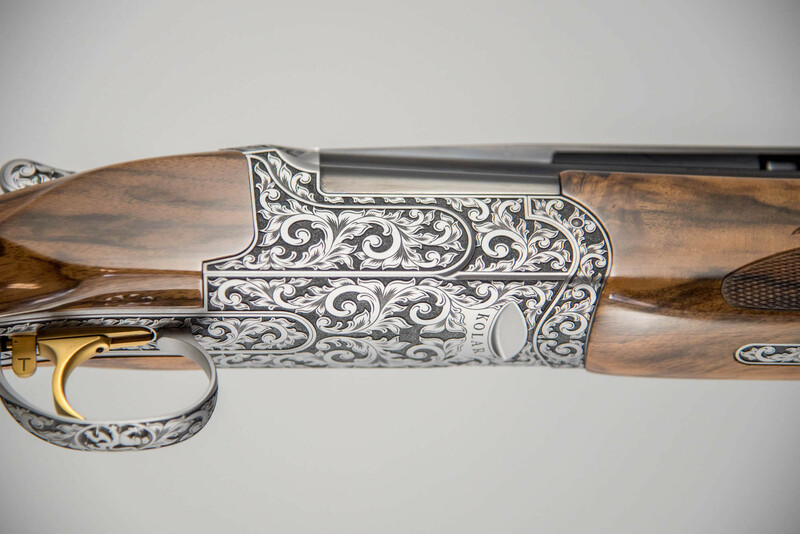 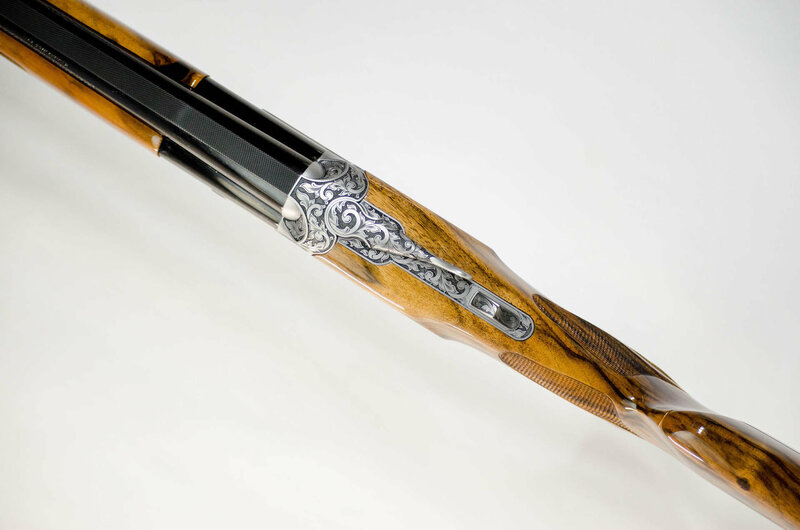 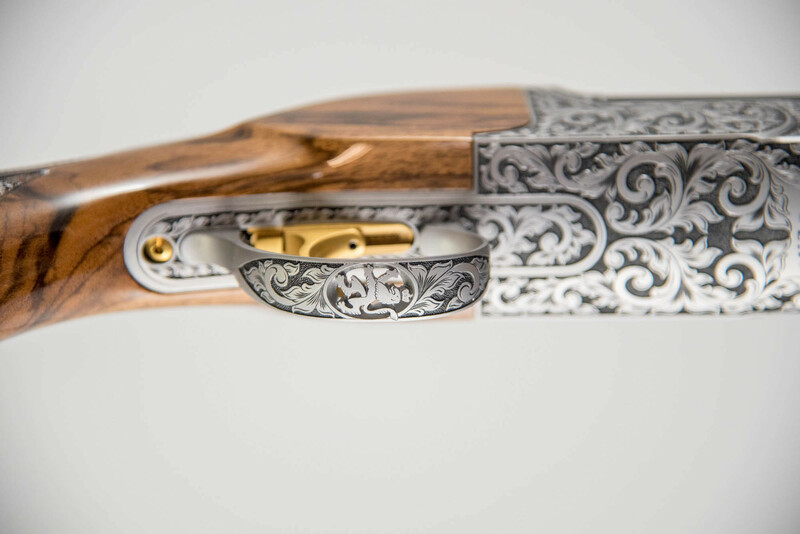 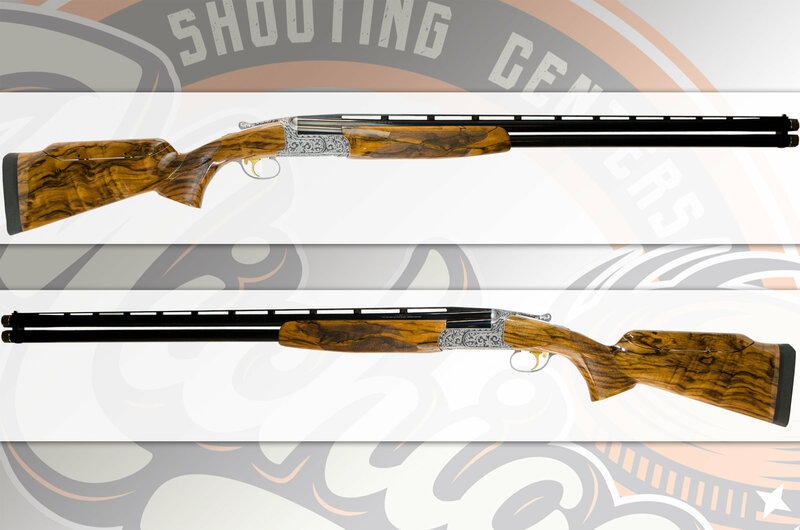 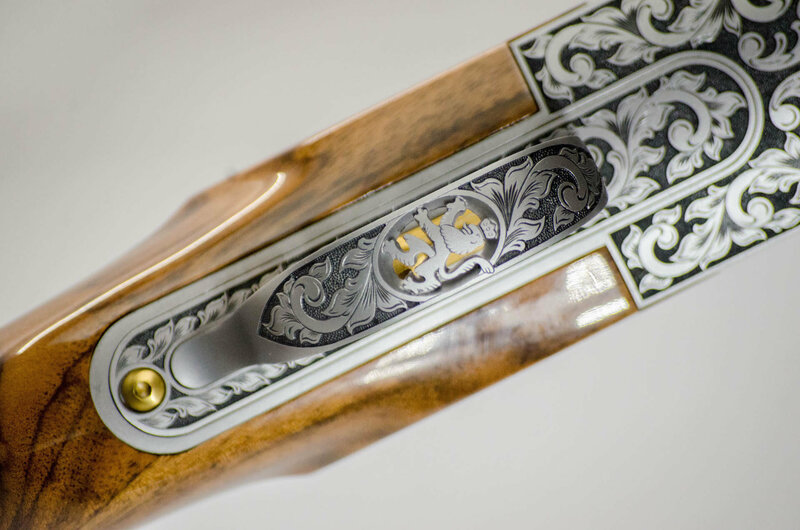 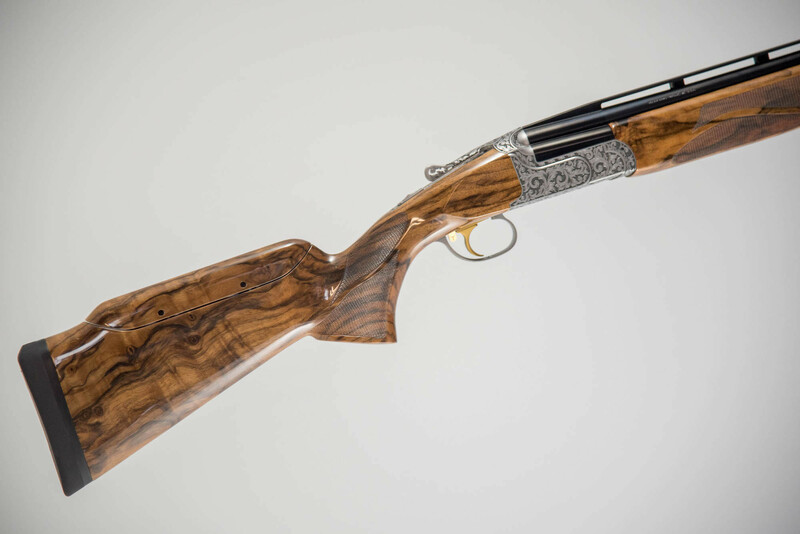 This particular Select has been upgraded with top lever and trigger guard piercings. 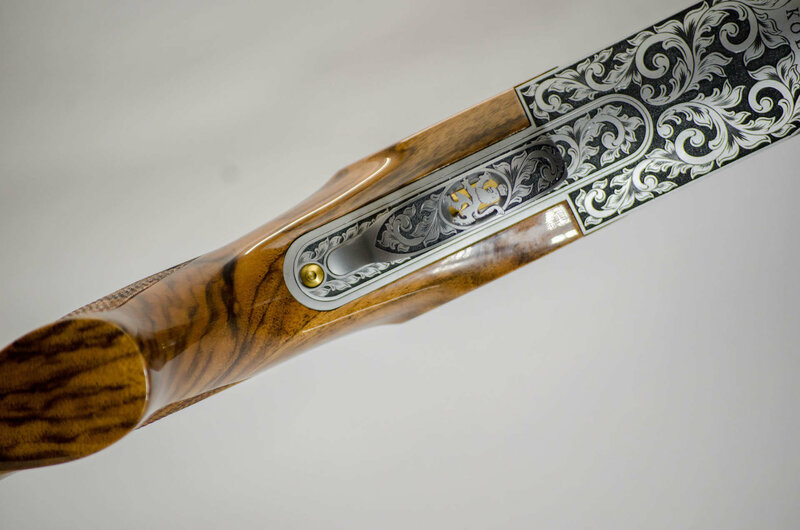 Features a 32″ fixed ramp taper rib, gloss finish barrel, and exhibition grade Turkish walnut stock. 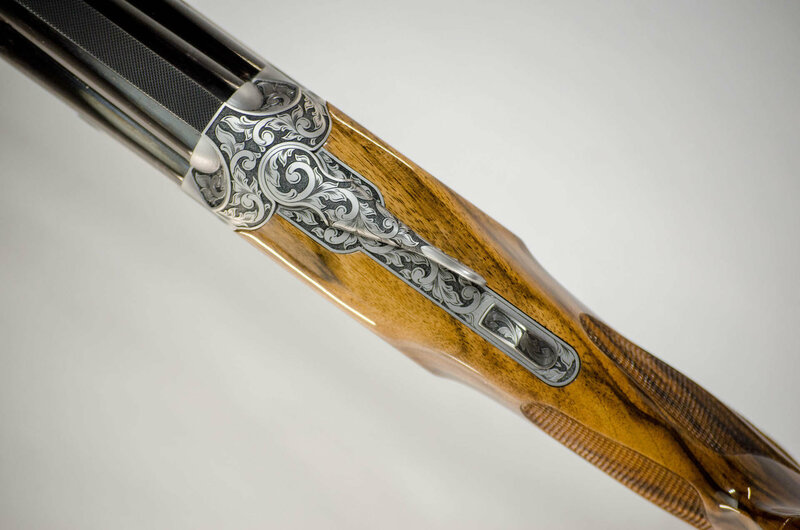 Includes 5 titanium Kolar choke tubes and a Negrini hard case.